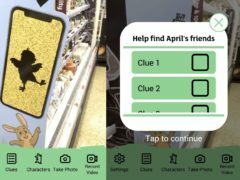 Sainsbury’s has launched an augmented reality app for children over the Easter break that tasks them with hunting down the Easter bunny and other characters while their parents carry out the shopping. 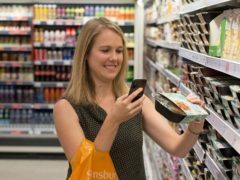 Sainsbury’s has claimed there are serious flaws with the competition watchdog’s report into its £12 billion merger with Asda, and argued the tie-up will deliver £1 billion in savings for shoppers as the deal hangs in the balance. An Easter egg made of Cheddar cheese will go on sale at a high street supermarket next month. Plans for a Sainsbury’s supermarket in Carnoustie have been abandoned. A balaclava-wearing trio targeted a supermarket in an early-hours attempt to steal a cash machine. A woman has been found guilty after trial of stalking a man. Angry Broughty Ferry residents have said they're “disgusted” by the mess of overflowing bins at the Sainsbury’s supermarket at Claypotts. A serial shoplifter has had sentence deferred on another store theft offence, after a sheriff heard he was on remand awaiting sentence on three previous charges. A two-time shoplifter has been remanded in custody pending reports.